As a frustrated ex-coastal inhabitant who is now himself bound to the city, I often find myself wishing away lunch hours gazing enviously at images of rolling waves from around the world. It’s often the case that the best waves are found on the other side of the globe, and as such are out of easy reach. However, as the images Jason Swain captured over the weekend show, this isn’t always the case. Swain’s photography covers the life of the ocean around the Isle of Wight, with a main focus on Freshwater Bay. 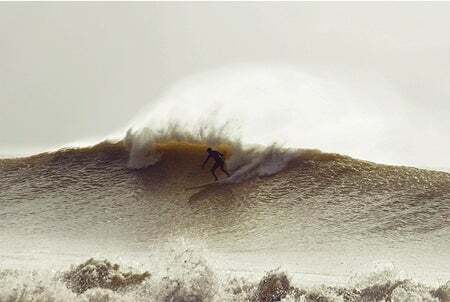 This weekend saw a swell hit which would have been more at place on the North Coast of Hawaii than the South Coast of England, and Swain was there to capture it in all its glory. Head over to his Soulsurfing blog to check the shots out for yourself, or visit Swain’s flickr for a gallery of all his photos to date.